Your simple solution for a professionally designed, drought-tolerant backyard. 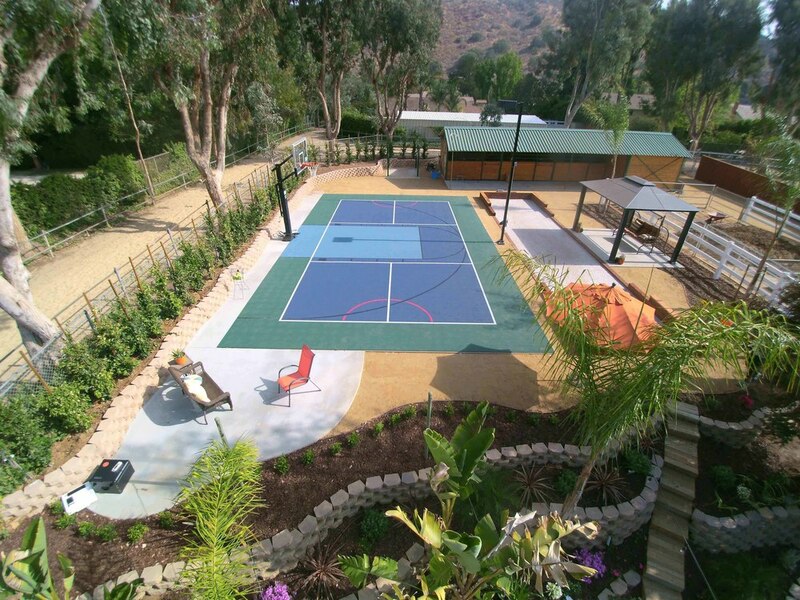 A backyard crafted by California SportScapes will set your home apart from the rest of the neighborhood. We use a unique blend of design, practicality, & functionality to construct a backyard that feels as homey as your living room. By combining your personal taste with our designer's expertise, your outdoor living space will become an extension of your home for your family & friends to enjoy for years to come. The design process includes three in-home consultations and will result in a Master Plan for the client (a professional landscape design that includes installation notes, plant labels, and more). The first consultation includes an interview and a site walk through with a professional landscape designer. In the interview, the landscape designer will discuss with you your vision/ideas for your new landscape and apply her expertise to help you get an idea of what your final landscape can look like. The second consultation includes a Preliminary Plan where the designer will show you a rough draft of the landscape design. This meeting is used to review the rough draft and make any changes you would like to the design itself. The third consultation includes the review and delivery of the revised preliminary plan, also known as the Master Plan. The Master Plan enables us to move forward with the construction of your new landscape. Again working with your landscape designer, you will come to an agreed upon contract outlining the scope and cost of construction. Then our experienced construction crews will come in to complete the job. Enjoy spending time in the newest edition to your home! Let the trained professionals take care of all the technical stuff. Turns a house into a "home"
A professionally designed landscape appeals to the senses and allows you to sit back and enjoy the ride. Utilize the existing space in ways never imagined. Feel confident the designer and contractor are on the same page - because they're the same person! All costs are rolled into one price. Create a place you will enjoy spending time with friends and family for years to come.